Located in northwestern Russia, the city Shlisselburg stands on the left bank of the River Neva, right where it flows from Lake Ladoga. Shlisselburg itself is divided into two parts by the channel of Lake Ladoga. This is the Leningrad region of Russia, Shlisselburg is located about 40 km east of the majestic St. Petersburg. Peter the Great himself gives the name of the city. In literal translation, Shlisselburg means "key city". The Russian ruler named the village this, because of its strategic location, both for military and commercial purposes. Actually, Shlisselburg grew around the medieval Oreshek Fortress, which was built on the small island Orehovets, located at the end of the Neva River, by Lake Ladoga. The historic castle is known as Petrokrepost and during the reign of the Swedish, its name was Noteburg. This, together with the center of Shlisselburg, is included in the List of World Heritage Sites by UNESCO. Shlisselburg was founded by Peter the Great in 1702 and the village began to develop on the northern coast of the island fortress. Currently, in Shlisselburg live about 12 000 people. Oreshek castle itself has existed since 1300, and all important village events throughout the ages have been related to it. In 1323 there was signed the Noteburg contract between Novgorod and Sweden. Shlisselburg becomes the possessions of Sweden after the Ingrian War, then it came to be called Noteburg- the name of the castle. Shlisselburg root passes to Russian hands again in 1702, during the Great Northern War, it was captured by the Russians and Tsar Peter I named it Shlisselburg. In the coming years and centuries the stronghold of Shlisselburg is used primarily as a prison for political criminals. In 1764, in Oreshek was killed Emperor Ivan VI, who was locked in the dungeons of the castle in secret for eight years of his life, which were actually his last. Aleksandr Ilyich Ulyanov, Vladimir Lenin's brother, met his death in the dungeons of Shlisselburg, as he was hanged because he was involved in the assassination of Emperor Alexander III. During World War II, Shlisselburg was under occupation by the Germans. In 1943, it was again in the hands of the Russian Empire and this restored access to the besieged Leningrad. Lake Ladoga was a key route for the transportation of weapons, ammunition and provisions for the siege. Between 1944 and 1992 Shlisselburg was called Petrokrepost. Today, the town can be reached most easily from St. Petersburg by bus № 440, 575, K-575. Unfortunately, the settlement has not retained a very large number of historic buildings, but it does have a few churches built in the 18th century. Perhaps the biggest attraction is the Old Ladoga Canal, whose construction started on the orders of Peter I in 1719 and was completed under the leadership of Fieldmarshal Munnich, twelve years later. The original size of the channels is 111 km along the southern shore of Lake Ladoga, the river Volkhov to the source of the Neva. They are built mostly because of heavy storms and waves on the lake, which impede navigation on it. Gateways operate since 1836. Further, the channel has expanded and now the New Ladoga Canal operates. 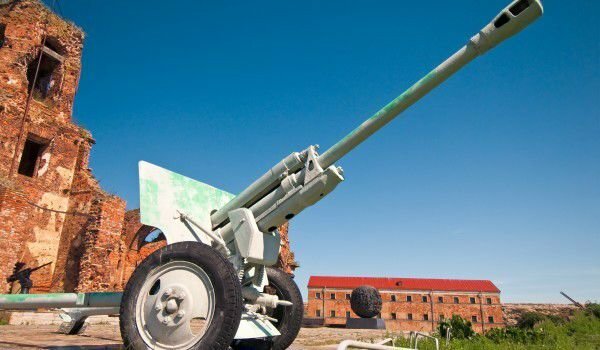 Among the landmarks of Shlisselburg is Oreshek fortress, now a branch of the Museum of History at St. Peterburg. In the city can be visited the Kraevedcheski museum and you can see a solemn monument to Peter I. Famous churches here are Shlisselburg Blagoveshtenskiy fair and Nikolskaya Church.